© 2002, © 2019 by Paul Freeman. Revised 2/25/19. Cunningham Airport, as depicted on the April 1942 San Antonio Sectional Chart (courtesy of Ron Plante). The date of establishment of this small general aviation airport on the southwest side of Houston has not been determined. which depicted Cunningham as a commercial/municipal airport. was a 10/16/43 aerial view looking north from the 1945 AAF Airfield Directory (courtesy of Scott Murdock). as having 2 unpaved runways with a few small buildings on the northeast side. There were no aircraft visible on the field, but that may have been due to wartime restrictions on civilian airports near the coasts. with a 3,500' x 2,650' sod all-way landing area under construction. The last aeronautical chart depiction which has been located of Cunningham Airport was on the 1945 San Antonio Sectional Chart (courtesy of John Voss). as a dealer of Cessna, Fairchild, and Waco aircraft. and the buildings & runways of Cunningham Airport in the background. at some point between 1945-50, as it was no longer depicted on the 1950 San Antonio Sectional Chart (courtesy of David Brooks). but a road had been built across the middle of the field. The airport buildings remained intact on the northeast side. 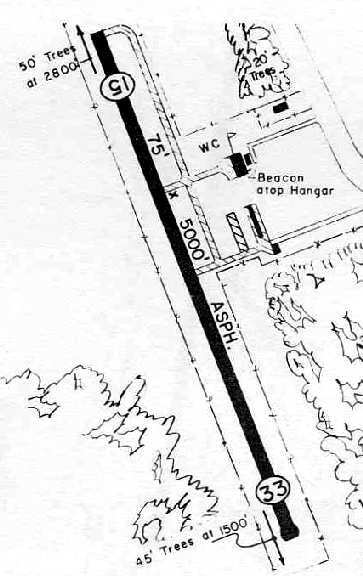 A 1965 USGS topo map (courtesy of Joseph Middleton) labeled Cunningham as an abandoned airport. with no trace remaining of the little airport. 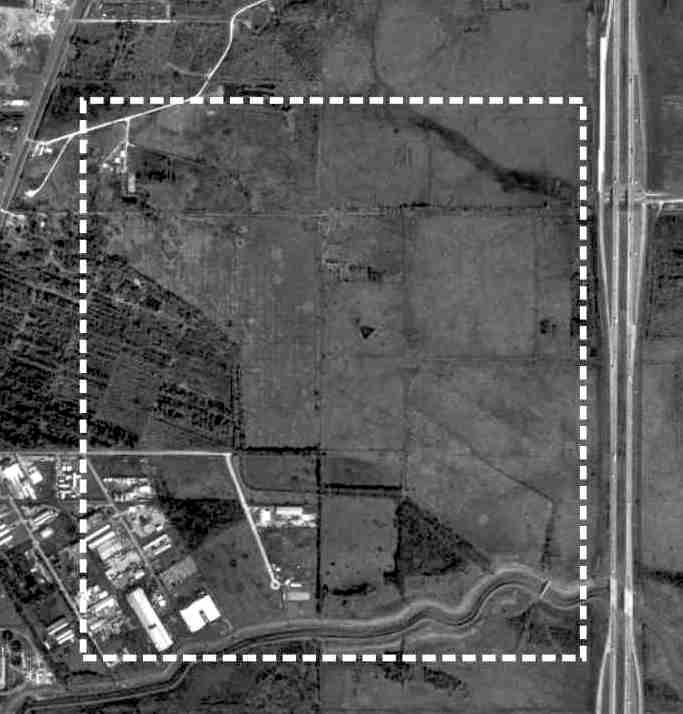 The site of Cunningham Airport is located southwest of the intersection of Old Spanish Trail & Almeda Road. Thanks to Joseph Middleton for pointing out this airfield. 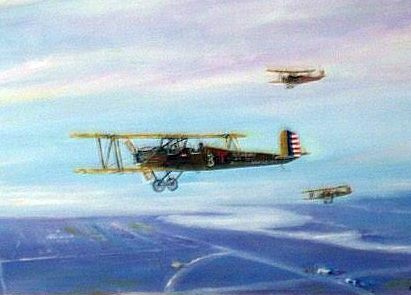 A painting by Lynn Redfern depicting PT-1s overflying Camp Hulen in 1927.
after the Palacios Campsite Association donated the land to the state in 1926. The association had in mind the economic benefits a military training center would bring Palacios. Some 6,500 men came to the first training session in the summer of 1926. In 1930 the camp was renamed Camp Hulen, after John Augustus Hulen. By 1934 some 1,886 concrete tent floors had been laid for the trainees. No airfield in Palacios was listed in The Airport Directory Company's 1933 Airports Directory (according to Chris Kennedy). was on the 1934 San Antonio Sectional Chart. located adjacent to then the western edge of the town of Palacios. described the "36th Division TX National Guard Air Corps Field"
as being located "2 miles west of city on Hug-the-Coast Highway". It was described as a 2,400' square sand field, with "no servicing facilities." 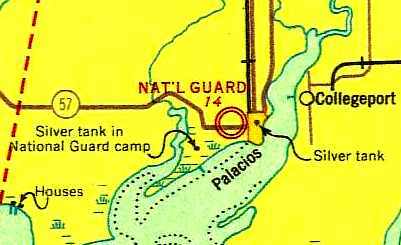 listed a "National Guard" auxiliary airfield in Palacios, "2 miles west of city on highway." It was described as a 2,400' square sand field, with "no service." as the surrounding bays provided a safe range for target practice. 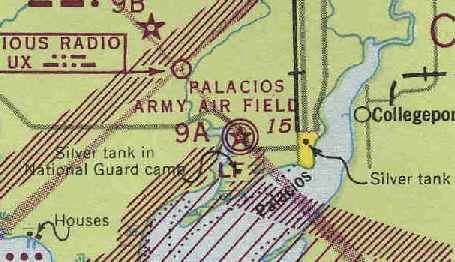 The Palacios Airfield was depicted as the CAA Intermediate Field Site "9A"
on the October 1941 San Antonio Sectional Chart (courtesy of David Brooks). Thus it appears the field had joint civilian & military usage, at least for some period of time. A September 1942 storm did extensive damage to Camp Hulen. and construction began on a replacement airfield in October 1942, just across Route 57 to the north. 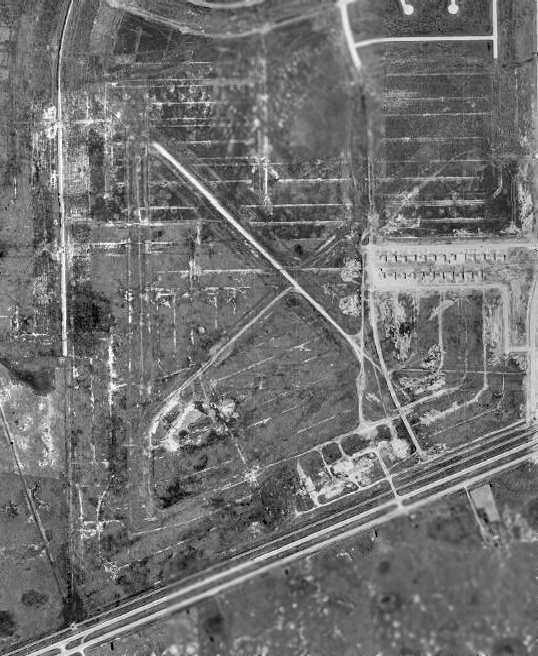 The only photo which has been located showing the original Camp Hullen airfield in operation was a 3/5/43 aerial view. 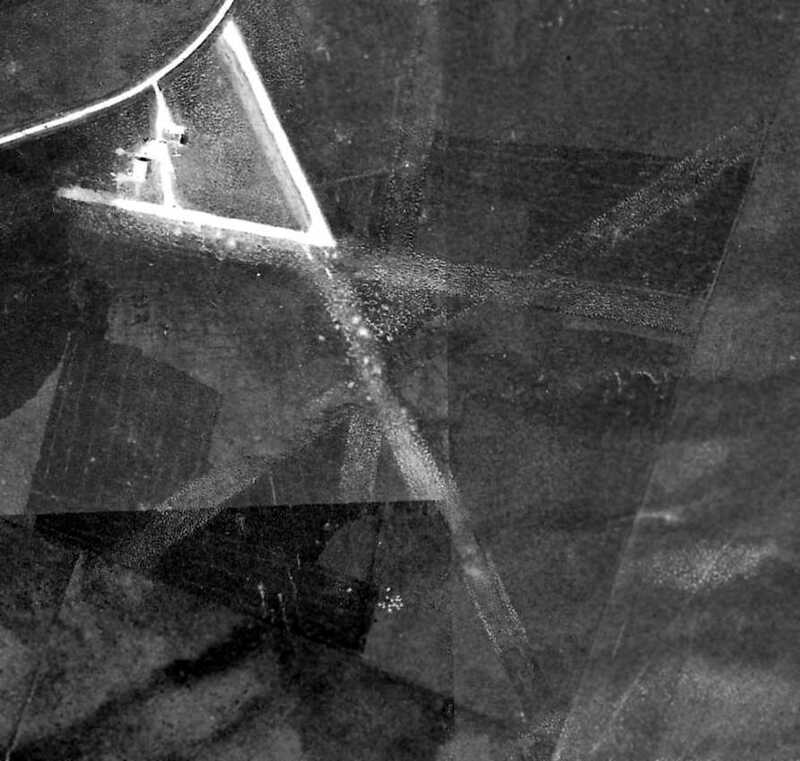 It depicted the field as having 3 paved runways, with a dozen aircraft visible on a paved ramp on the southeast side. There did not appear to be any hangars on the field. and also indicated that it was Department of Commerce Site 9A. on the north side of the highway “in mid-1943”, according to Ron Plante. 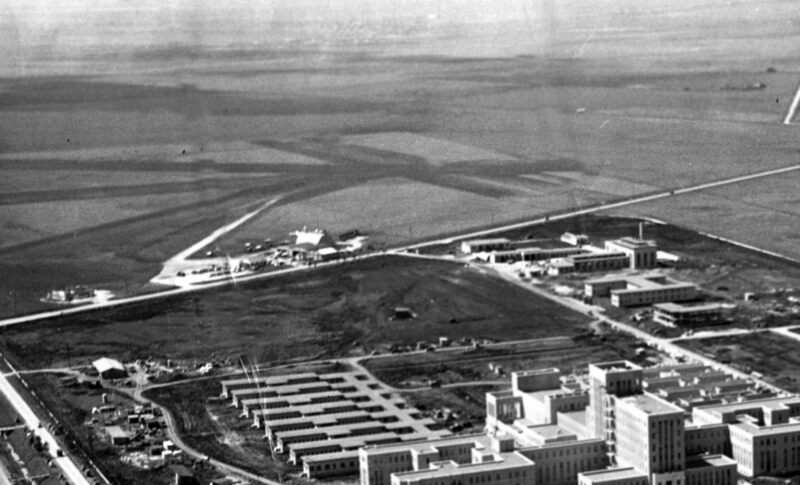 after the Camp was established as a Regular Army anti-aircraft artillery training center in 1941.
led the Army Air Forces to build a brand-new field just north of Highway 35.
as well as the replacement Palacios AAF in the foreground. 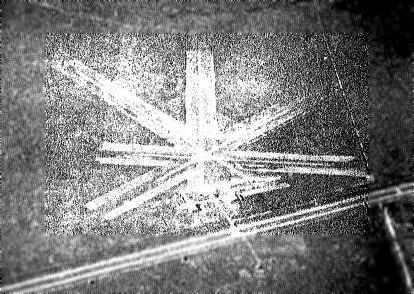 the original Camp Hulen airfield was no longer depicted at all (only the new Palacios AAF was depicted). and returned it to the TX National Guard. Rather than use it for summer training, the guard slowly dismantled it for scrap. as it did not appear on later aeronautical charts or USGS topo maps. In 1965 the property was sold to developers hoping to construct an industrial park. However, by 1985 the abandoned Camp Hullen still remained undeveloped. 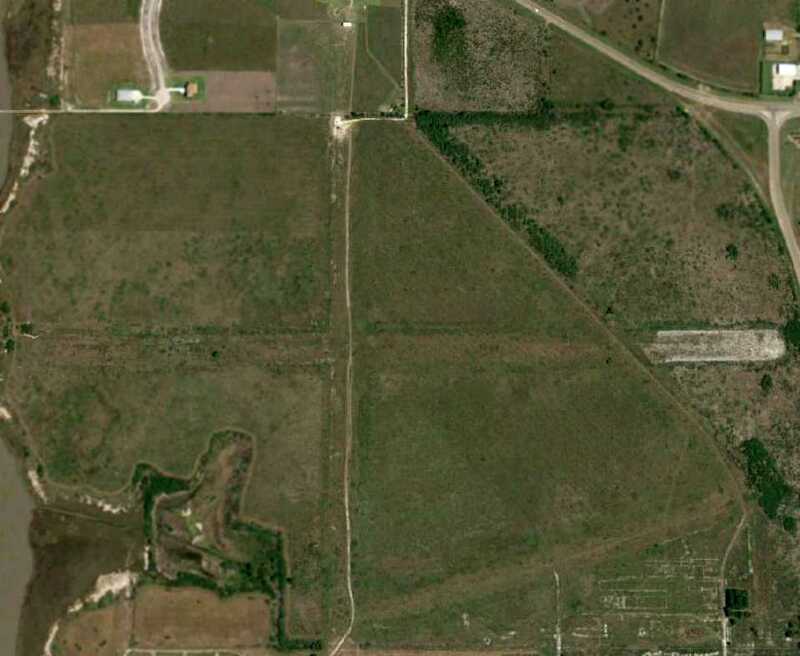 the outline of 3 former runway at the site of Camp Hulen Army Airfield were still quite obvious. The longest runway was the 3,700' northwest/southeast strip. it did not appear as if any of them were originally related to the airfield. 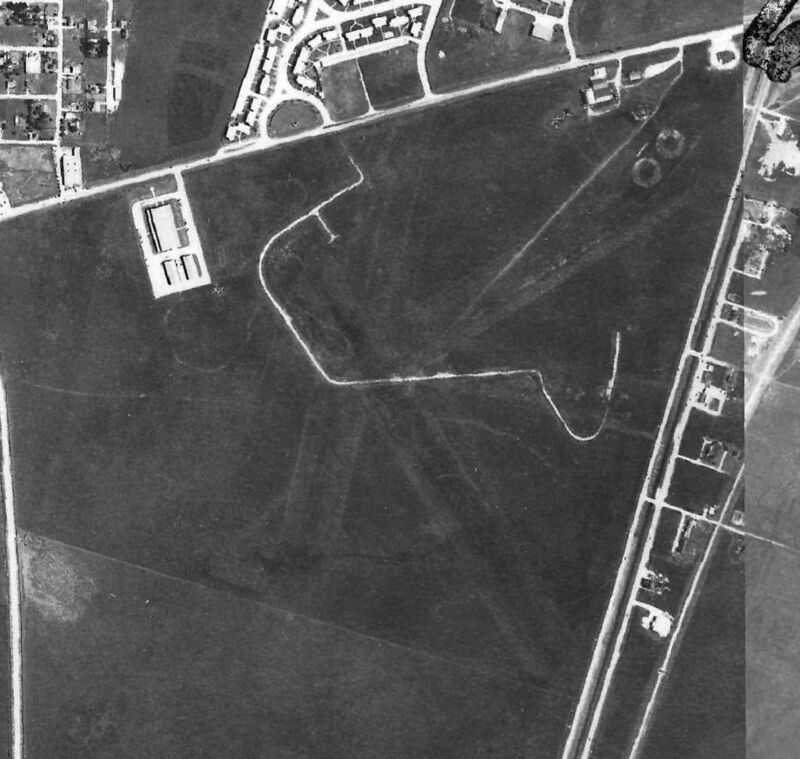 In a 3/31/08 aerial photo of the site of Camp Hulen Army Airfield, the outline of the 3 former runways were still recognizable. 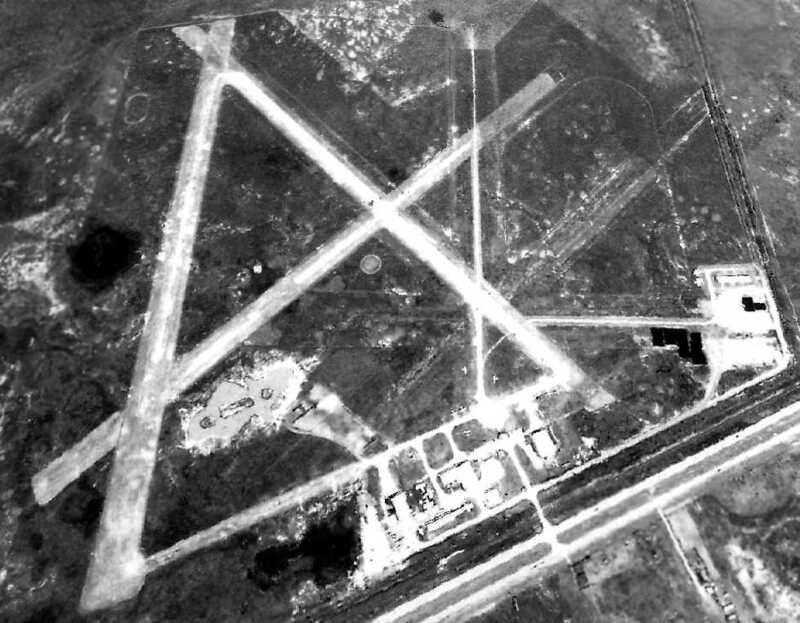 showing the outline of the 3 former runways as still recognizable. adjacent to the south side of Palacios Municipal Airport. Thanks to David Brooks for locating this airfield. 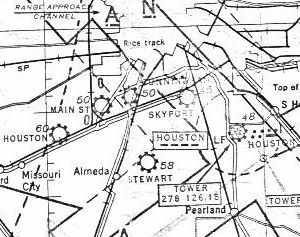 Skyport Airport, as depicted on the April 1942 San Antonio Sectional Chart (courtesy of Ron Plante). Skyport was yet another general aviation airport which was lost to the rapid expansion of the Houston metropolitan area. nor listed in The Airport Directory Company's 1937 Airports Directory (courtesy of Bob Rambo). which depicted Skyport as a commercial/municipal airport. The (admittedly poor contrast) photo depicted Skyport as possibly having 2 runways. described Skyport as having a 3,500' unpaved runway. 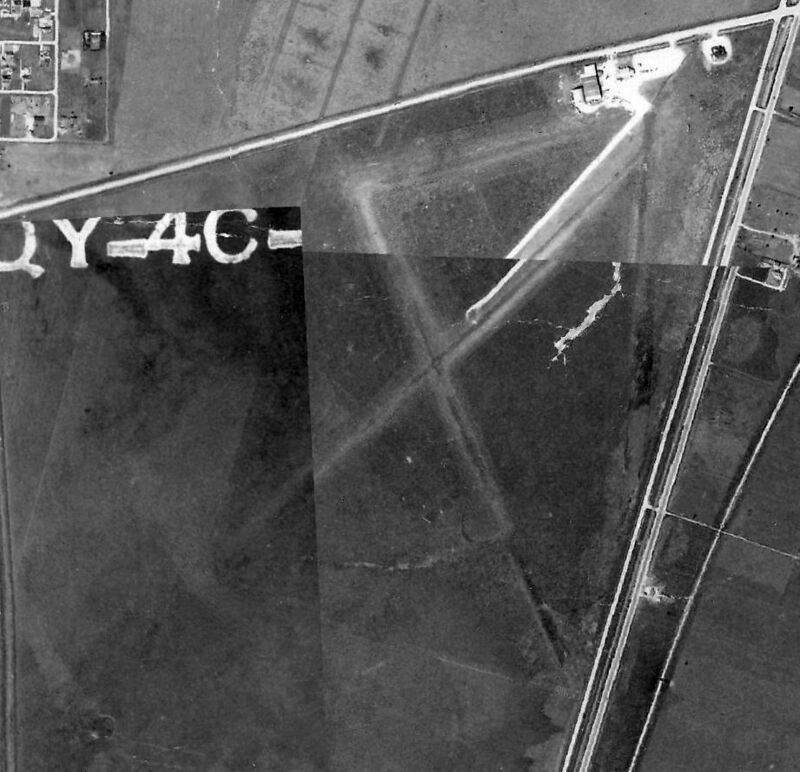 The last photo of Skyport Airport which has been located was a 1944 aerial view. 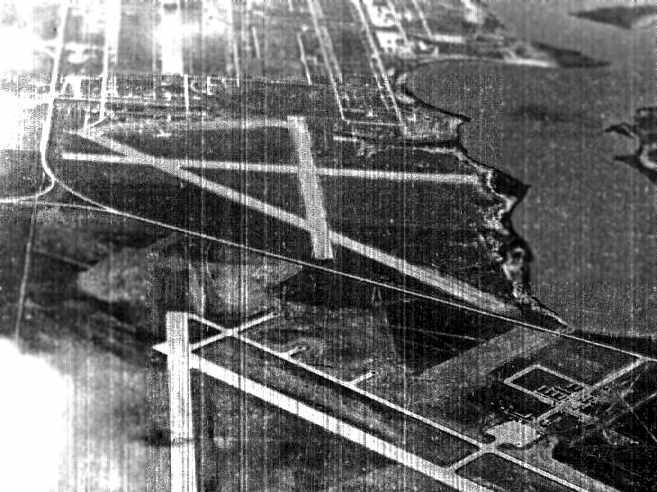 It depicted Skyport as having 4 unpaved runways, with what appeared to be short paved sections on the northwest portion of 2 runways. Two small hangars & at least one small plane were visible on the northwest side of the field. as a 166 acre irregularly-shaped property having 4 shell & sod runways, the longest being a 3,225' northeast/southwest strip. described Skyport as a commercial airport having a total of 3 unpaved runways, with the longest being 3,350'. David Brooks recalled, "My Uncle would go out to airfields to watch the planes & I liked to tag along. there were 2 in the general area that we would stop at from time to time. I can not say for sure I remember this field, but it is in the area that would be on the path he would drive. and we would normally drive in a southerly direction. I recollect (vaguely) this field as it was on the road to Hobby. It was relatively small & had a few light aircraft around some small buildings." 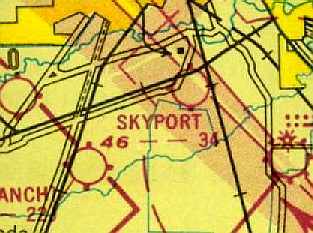 Sky Port Airport was still depicted on the 1950 USGS topo map, along with several other small general aviation airports. 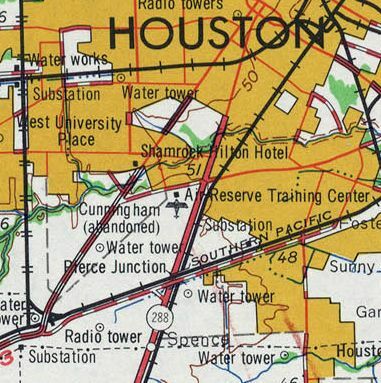 as it was no longer depicted at all on a 1952 Humble Oil street map of Houston. 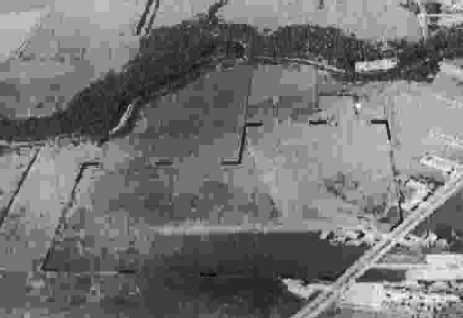 A 1953 aerial view showed that the site had become redeveloped with dense housing. The site of Skyport Airport is located at the intersection of Interstate 610 & Mykawa Road. 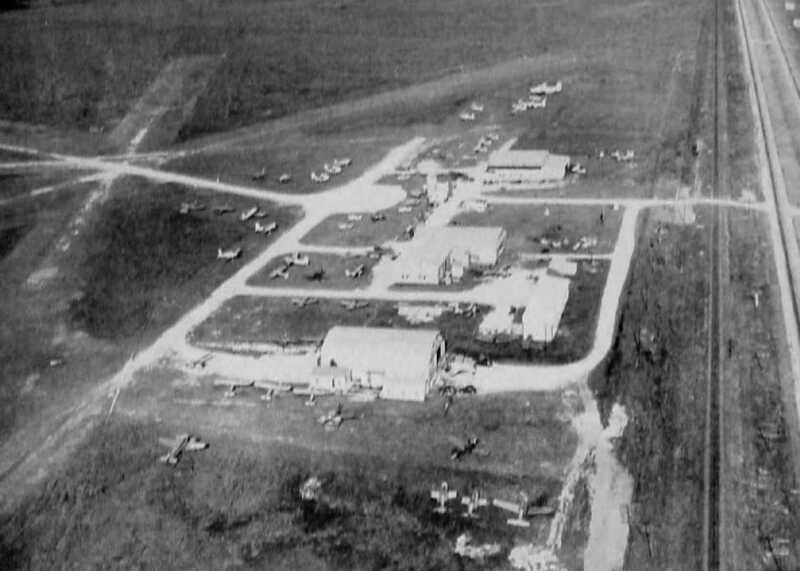 A circa 1945-48 aerial view of showing a single-engine aircraft, office, and hangar at Sky Ranch Airport (courtesy of Ed Lewis). or the 1945 AAF Airfield Directory (courtesy of Scott Murdock). continuing the tradition of the Tuskegee Airmen. Located on Reed road, on the historic Taylor-Stevenson Ranch, The Sky Ranch started operations in 1946.
by becoming the first black female pilot licensed in the state of Texas in 1946. Sky Ranch served as an airport for the segregated black community & provided instruction to veterans interested in flying. showing a single-engine aircraft, office, and hangar marked “Sky Ranch Flying Service” . Sky Ranch was not depicted on the January 1947 San Antonio Sectional Chart (courtesy of Ron Plante). Sky Ranch ceased operations in 1948, lasting a mere 2 years. It reportedly closed when legislation restricted the use of the G.I. Bill, causing a downturn in flight training business. 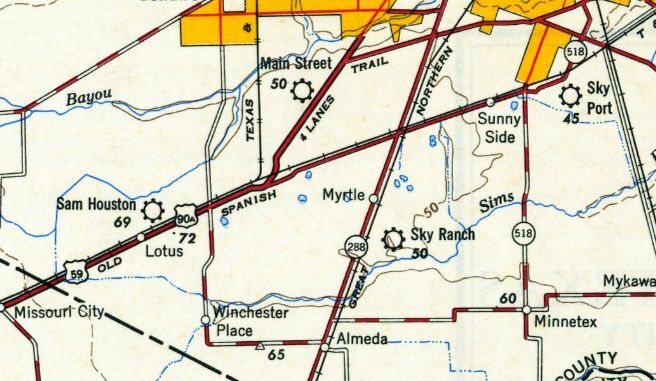 Sky Ranch was still depicted on the January 1950 San Antonio Sectional Chart (courtesy of David Brooks). with the longest being 2,200'. 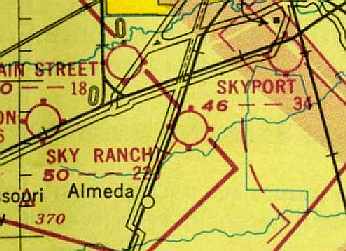 Sky Ranch Airport was still depicted on the 1950 USGS topo map, along with several other small general aviation airports. a 1953 aerial photo, or the 1964 San Antonio Sectional Chart (courtesy of John Voss). 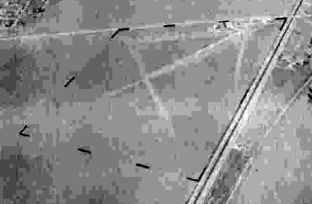 A 1978 aerial photo did not depict any aviation use of the Sky Ranch site, but the area of the former airfield remained clear. 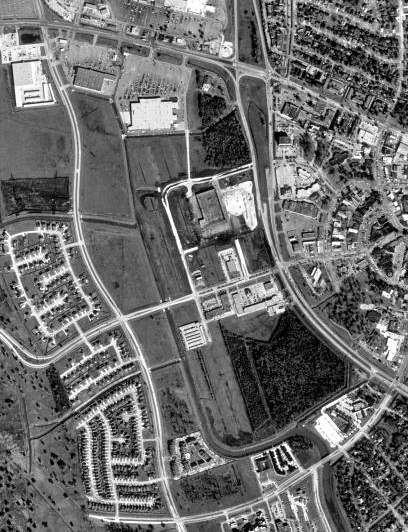 The outline of the Sky Ranch Airport property has been superimposed by David Brooks over the 1995 USGS aerial photo. and remained largely an open grass field. Most remarkably, the layout of the former runways appears to still be recognizable. The site of Sky Ranch Airport is located northwest of the intersection of Route 288 & Amelda Genca Road. Sam Houston Airport, as depicted on the April 1942 San Antonio Sectional Chart (courtesy of Ron Plante). as it was not listed in The Airport Directory Company's 1937 Airports Directory (courtesy of Bob Rambo). which depicted Sam Houston as a commercial/municipal airport. from the 1945 Army Air Forces Airport Directory (courtesy of Chris Kennedy). It depicted the field as having 4 runways. described Sam Houston as having a 3,200' unpaved runway. 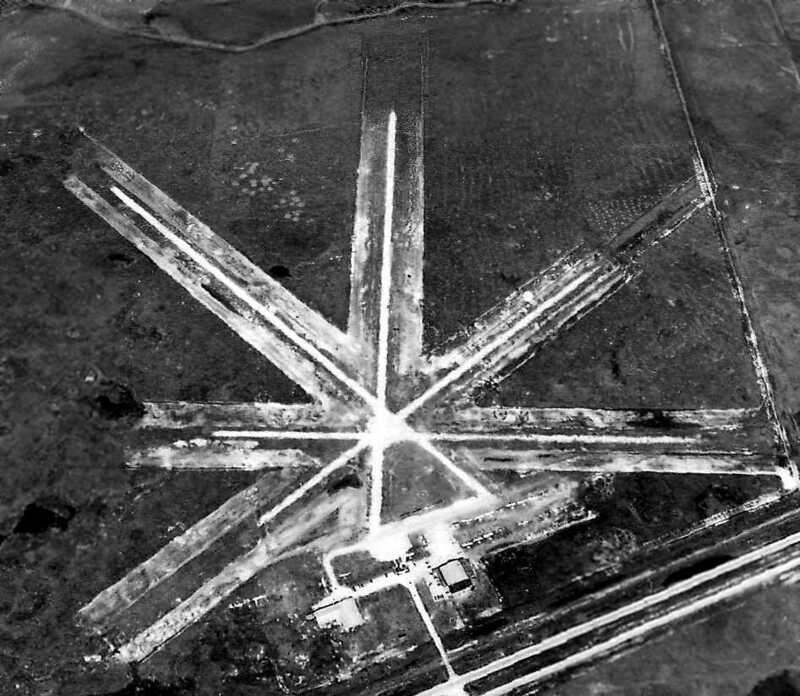 A 1944 aerial view looking north depicted Sam Houston as having 4 runways, with 2 hangars & a dozen light aircraft on the south side. as a 640 acre irregularly-shaped property having 5 shell runways, the longest being a 3,000' northeast/southwest strip. The field was said to have 4 hangars, the largest being a 110' x 107' wood & metal structure. Sam Houston Airport was described as being owned & operated by private interests. 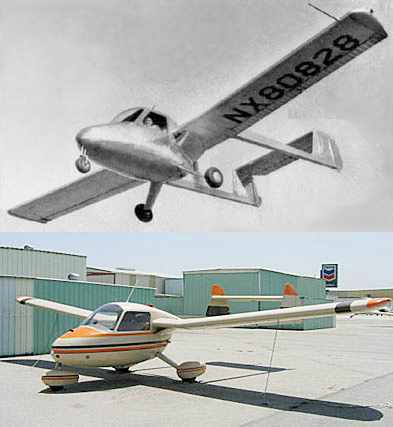 Two undated photos of the Anderson-Greenwood AG-14, built at the Sam Houston Airport. Sam Houston Airport was (briefly) the site of an aircraft manufacturer. to satisfy the perceived post-war demand for general aviation aircraft. Their AG-14 first flew on 10/1/47. It was an unusual design, having a twin-boom tail & a pusher propeller. Five AG-14s were built, but unfortunately the program was not an economic success. with dozens of light aircraft parked around a collection of hangars on the south side of several unpaved runways. 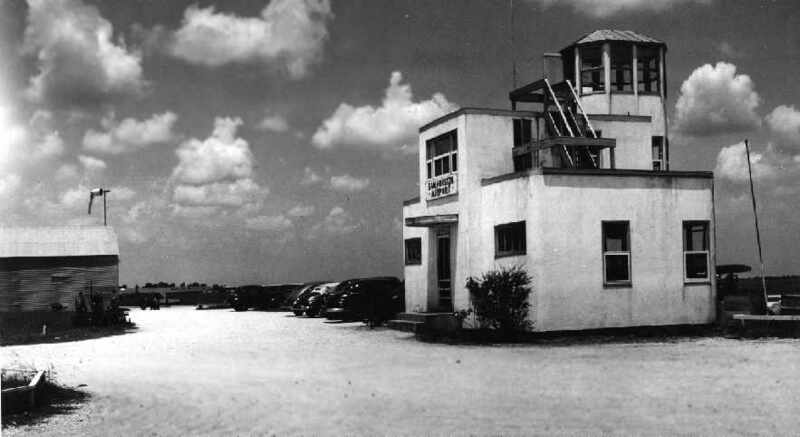 A circa 1949-51 picture (courtesy of Gordon Cragg) of the Sam Houston Airport office building, with a small tower. 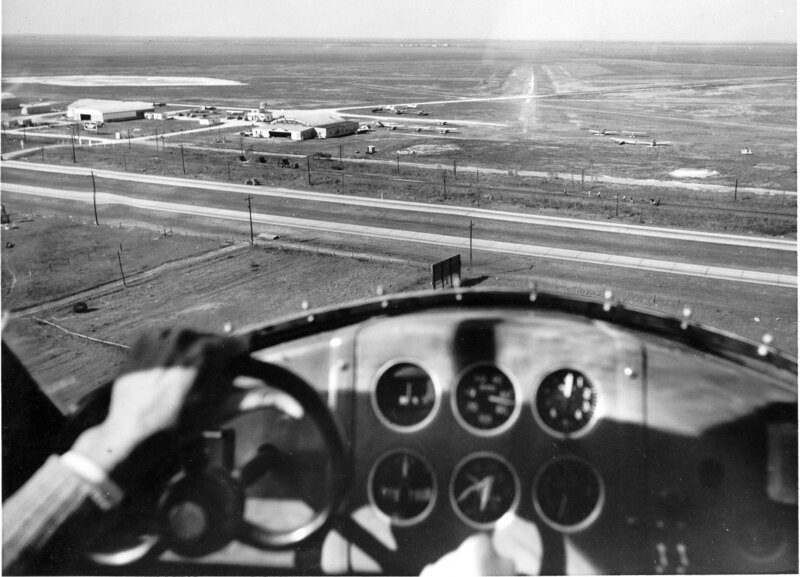 An undated photo by Joseph Demic (courtesy of Doug Bickford, also found in a December 1950 magazine article) showing Ed Hoadley landing an Anderson Greenwood AG-14 on approach to the northwest at Sam Houston Airport. 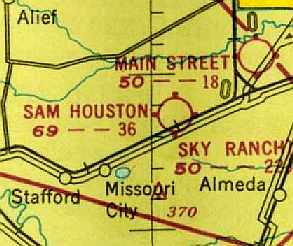 The January 1950 San Antonio Sectional Chart (courtesy of David Brooks) described Sam Houston as having a total of 5 runways, with the longest being 3,600'. 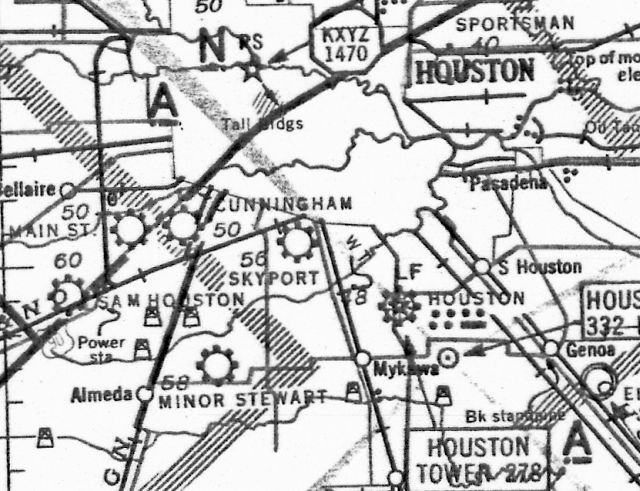 Sam Houston Airport was still depicted on the 1950 USGS topo map, along with several other small general aviation airports. Sam Houston Airport, as depicted on a 1952 Humble Oil street map of Houston. by a significantly larger set of 3 runways, somewhat to the west of the original layout. 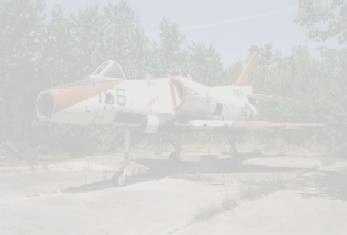 The cluster of hangars had grown as well, and there were a dozen light aircraft visible. Sam Houston Airport was still depicted as an active airport on a 1955 Humble Oil street map of Houston. and construction had begun on the housing development which would eventually cover the site. 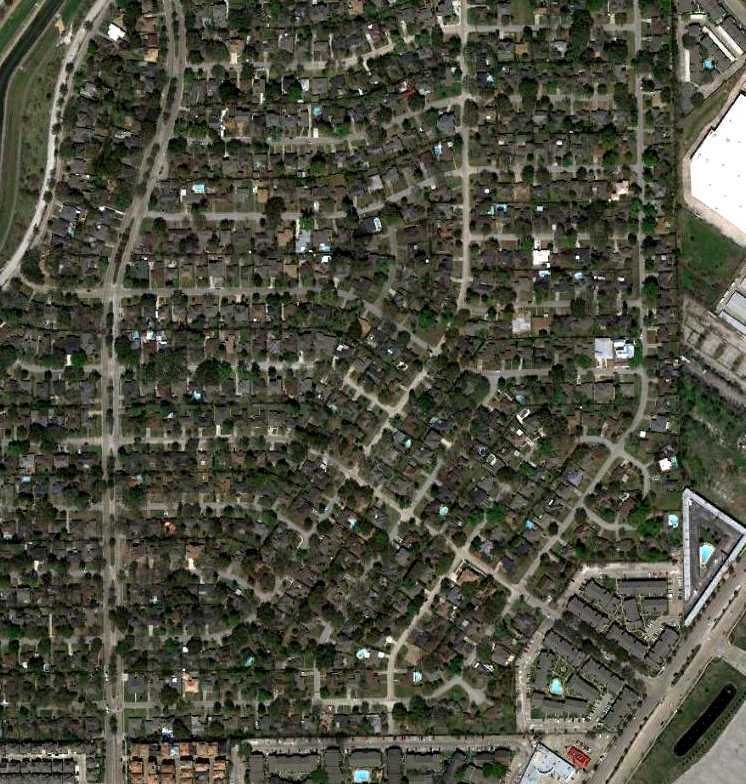 showed that the majority of the airport property had already been built upon by residential housing. However, the remains of the former north/south runway were still recognizable (on the right side of the photo). 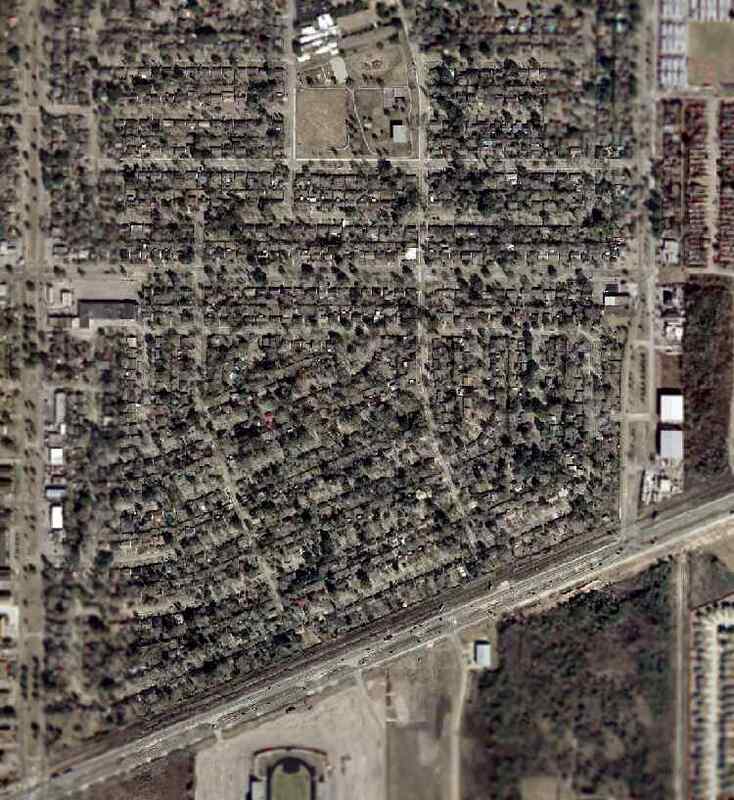 to show the presumed alignment of the runways at the former Sam Houston Airport. or depicted at all on the 1964 San Antonio Sectional Chart (courtesy of John Voss). 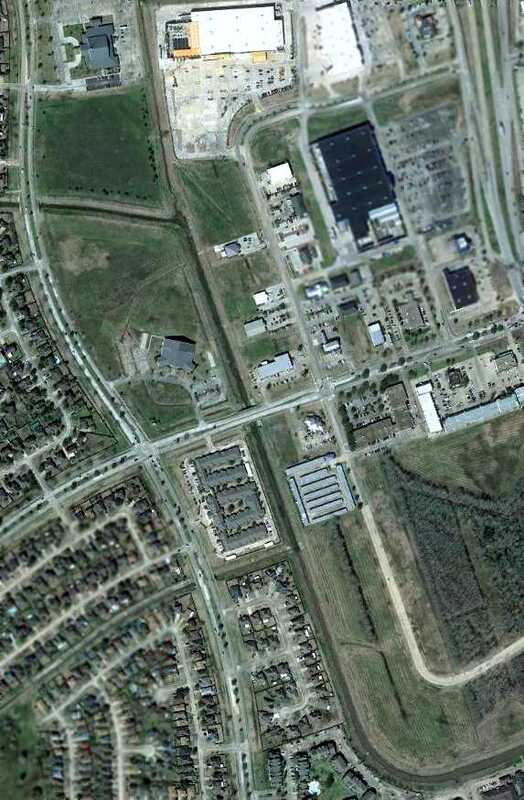 The site of Sam Houston Airport is located northwest of the intersection of Main Street & Chimney Rock Road. 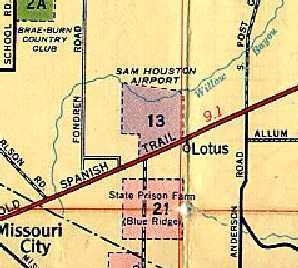 Main Street Airport, as depicted on the 1934 San Antonio Sectional Chart. 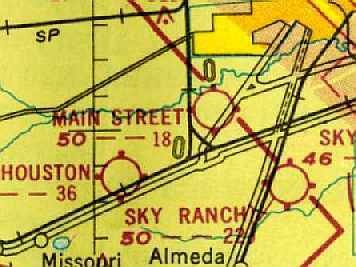 as "Main St" was depicted as a commercial or municipal airport on the 1934 San Antonio Sectional Chart. 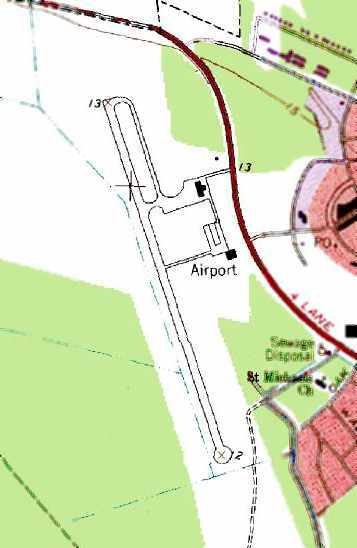 The directory described Main Street Airport as having 2 sod runways, with the longest being the 1,600' east/west strip. which was said to have "Houston Main Street" painted on the roof. as an irregularly-shaped property bounded by Route 59 on the southeast side. 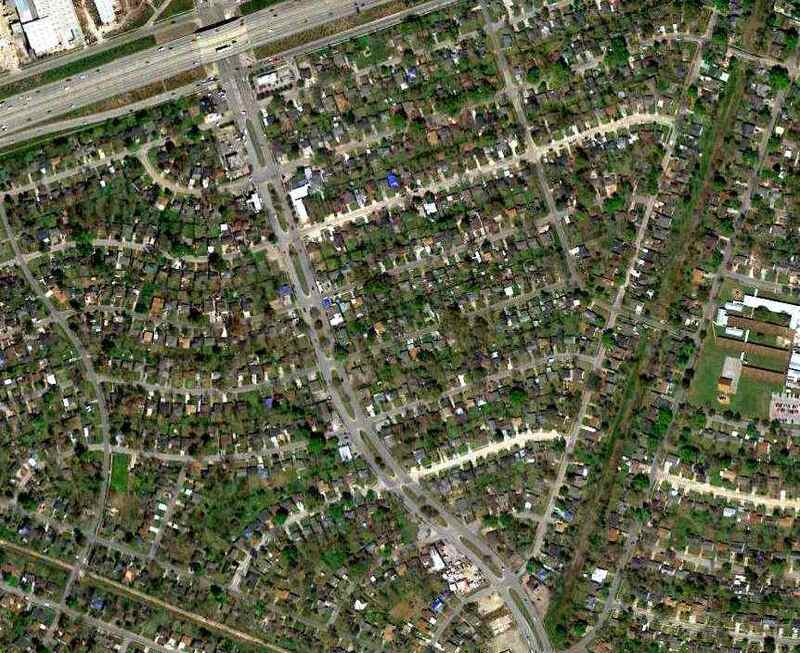 depicted Houston Main Street as having an L-shaped outline, with several buildings along the southeast corner. 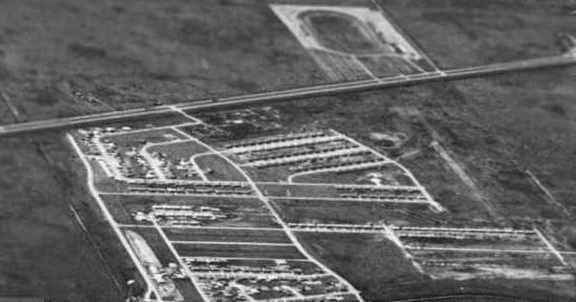 The last photo of Houston Main Street Airport which has been located was a 1944 aerial view looking north. It depicted the field as having 2 unpaved runways, with several small buildings on the southeast side. as a 108 acre L-shaped property having 3 sod runways, the longest being a 2,200' east/west strip. The field was said to have 3 hangars, the largest being a 100' x 60' wood & metal structure. 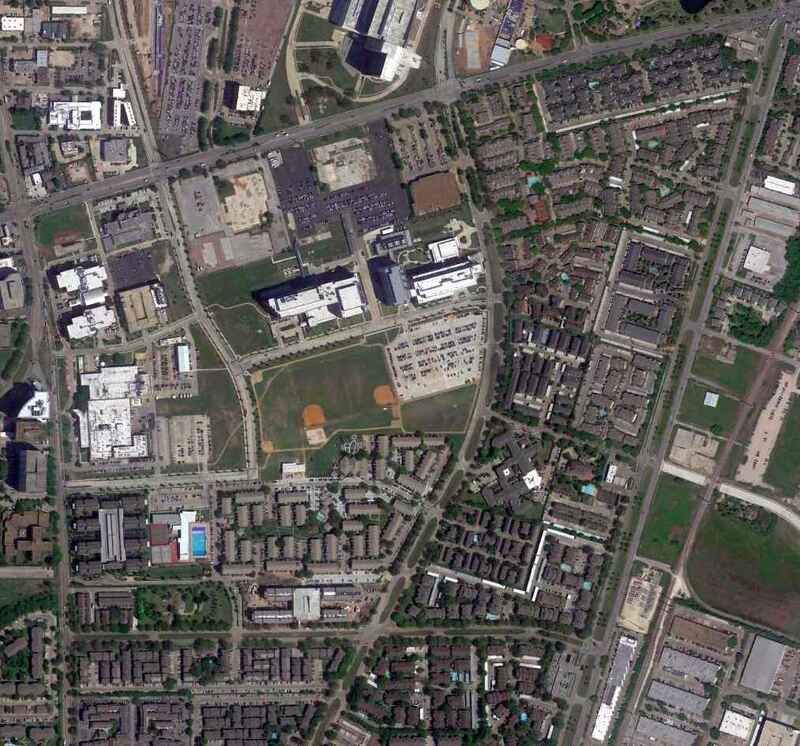 Houston Main Street Airport was described as being owned & operated by private interests. According to Micheal McMurtrey, a Cessna T-50 was registered to Nierth Aero Services at Main Street Airport. 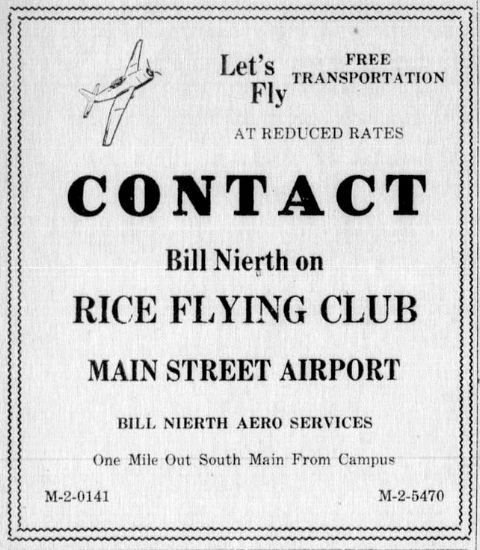 An advertisement for Main Street Airport's Rice Flying Club, from the Rice University newspaper The Thresher 5/30/46 (courtesy of Micheal McMurtrey). as having 2 runways, with the longest being an 1,800' turf strip. 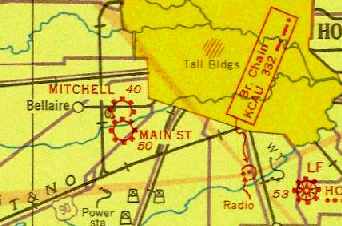 Main Street Airport was still depicted on the 1950 USGS topo map, along with several other small general aviation airports. 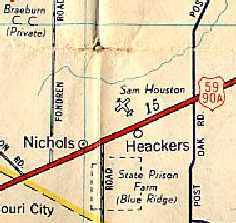 as it was not depicted at all on a 1952 Humble Oil street map of Houston. less than a mile west of the Astrodome. 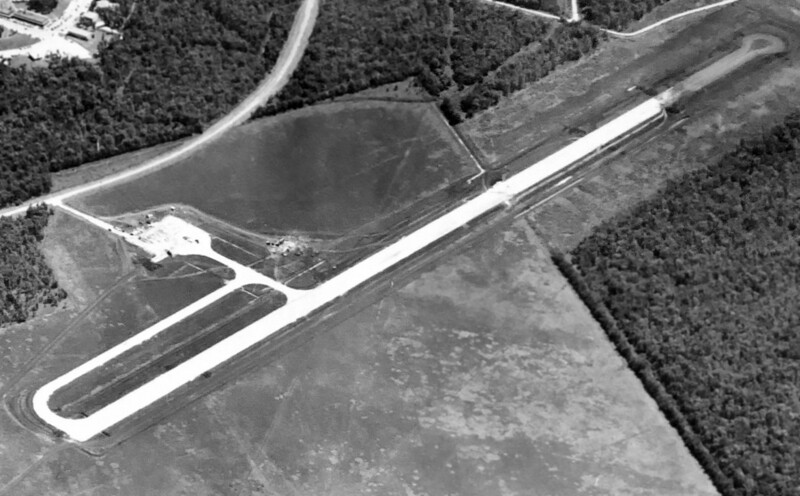 A 1956 aerial view looking southeast at the newly-built Lake Jackson Dow Airport (courtesy of the City of Lake Jackson, via James Pierce). 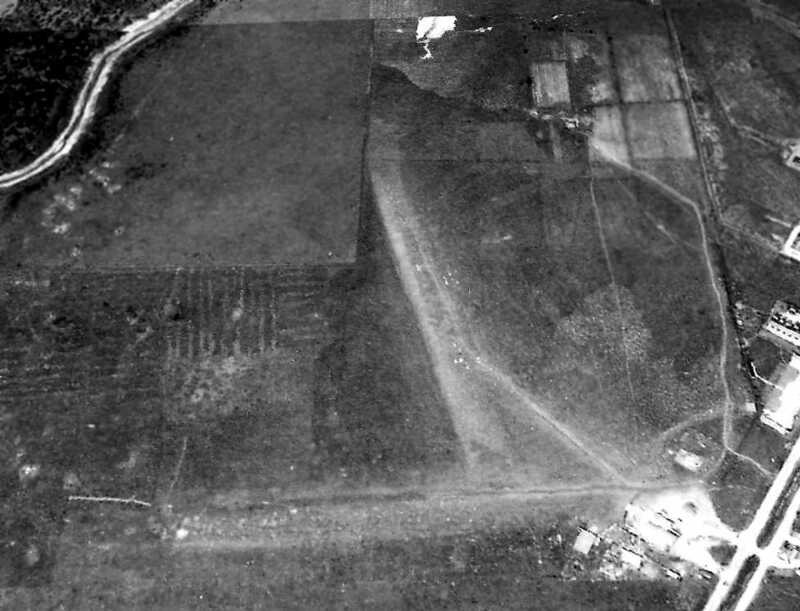 No airfield was yet depicted at this location on a 1952 aerial photo (courtesy of Adam DeLand). This airport was built by the Dow Company. “The new Dow Airport in Lake Jackson was completed on 1/5/56. The Dow Cessna airplane landed there that afternoon. Phil Beutel recalled, “This airport was started by my Dad when he was the General Manager of the TX Division of Dow. 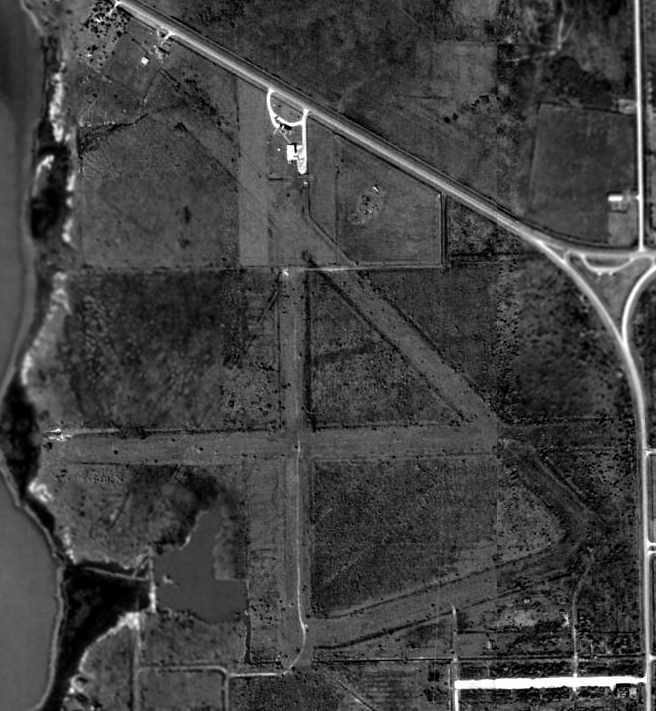 The earliest depiction which has been located of the Lake Jackson Down Airport was a 1956 aerial view (courtesy of the City of Lake Jackson, via James Pierce). with a taxiway leading to a ramp on the northeast side. 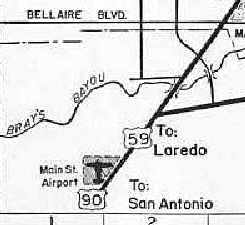 The 1956 USGS topo map depicted Brazoria County Airport. with a partial-length parallel taxiway leading to a small ramp with a single hangar on the northeast side. The 1962 AOPA Airport Directory described Lake Jackson Dow Airport as having a single 5,500' macadam Runway 15/33. It also includes the note, "Caution: Emergency use only." one labeled "Dow area" & the other "public facilities" (which had evidently been added at some point between 1958-63). The manager was listed as H.E. Merchant. 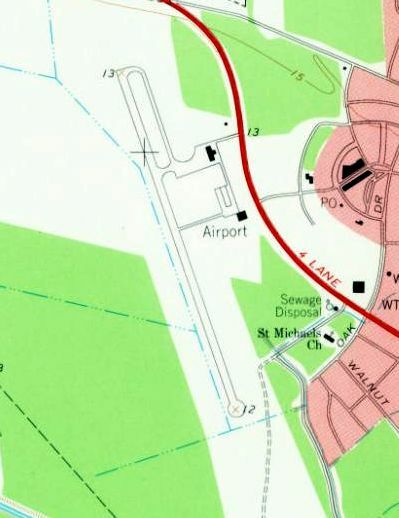 The 1963 USGS topo map depicted a single northwest/southeast runway, labeled simply as “Airport”. described Lake Jackson Airport as having a single 5,000' asphalt runway. 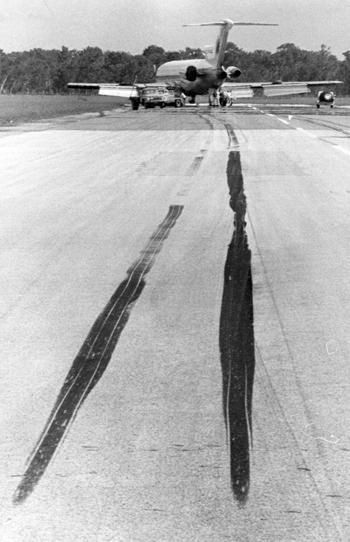 A July 1972 photo of the prominent skid marks on the Lake Jackson Airport runway caused by the braking of the hijacked National Airlines 727. According to Richard Huntington, "The Lake Jackson Airport has also a bit of publicity most people don't remember. 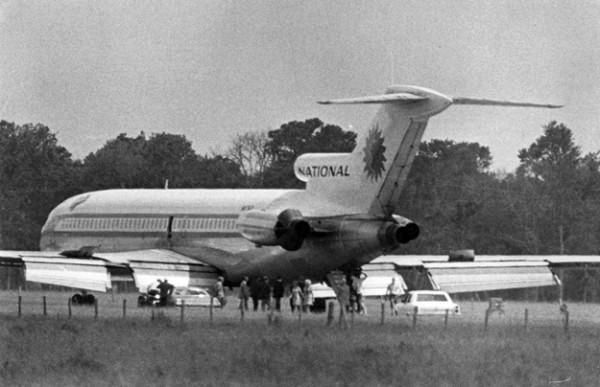 A plane [a National Airlines 727-200] was hijacked & landed there. The event was covered by Jessica Savitch, then a reporter for a Houston TV station. It happened in [July 12] 1972." “We were up there over the Gulf with almost no fuel. 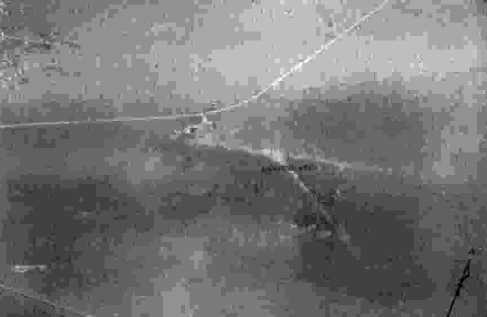 We thought about trying to put it down on the beach but then we noticed Lake Jackson,” flight engineer Gerald Beaver told the Houston Post days after the hijacking. Boeing 727s aren’t really supposed to land on 5,000' runways. But as the jet touched down, the crew hit the brakes, causing the plane to swerve & throwing the hijackers off balance. In the process, two tires blew out. As the aircraft came to a stop, co-pilot Norman Reagan & Beaver jumped out. Beaver was able to flee into some nearby woods, but Reagan was severely injured when he hit the ground. Federal & local authorities quickly surrounded the plane & started negotiations. After a few hours, one of the flight attendants was released. Eventually the hijackers said they would surrender only to the FBI & not to Texas authorities. With that, the remaining 3 flight attendants were released unharmed, the surrender took place & the 24-hour ordeal came to a close. A July 1972 photo of the hijackers leaving the National Airlines 727 at Lake Jackson Airport. After the hijacking drama was concluded, the only thing left to work out was how to get the 727 off the runway. put just enough fuel in the plane to get it to Houston Intercontinental on July 14.
was a 1974 aerial photo (courtesy of Adam DeLand). which what appears to have been several light aircraft parked on the southernmost hangar. 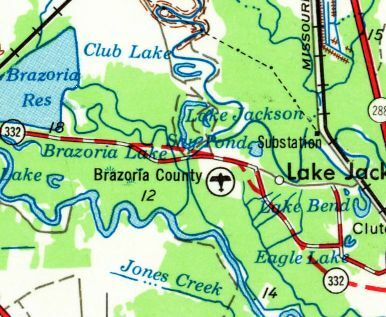 On the 1975 USGS topo map, the field was labeled "Brazoria County" Airport. as having a single 5,000' asphalt Runway 15/33, and 2 hangars along the east side. The manager was listed as W. W. Lowrey. The directory included the note: "New airport under construction for Brazoria County!" at which point the original field was evidently closed. and it appeared as if at least one hangar had been removed. But the field remained otherwise still intact. the original Lake Jackson Airport was no longer listed. with only vestiges of the runway still being visible. 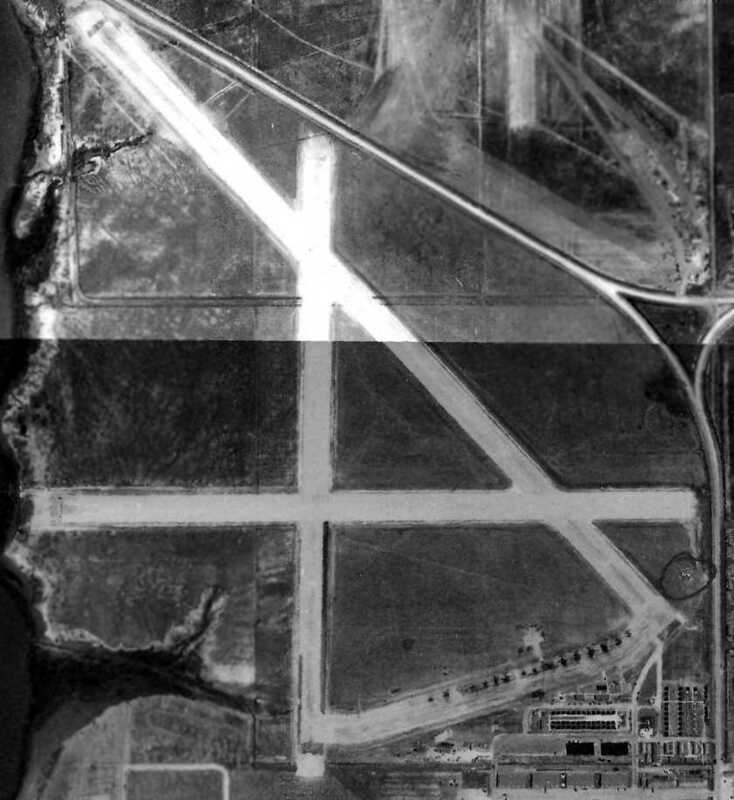 even though the aerial photo from the same year showed that most of the former airport had been removed. 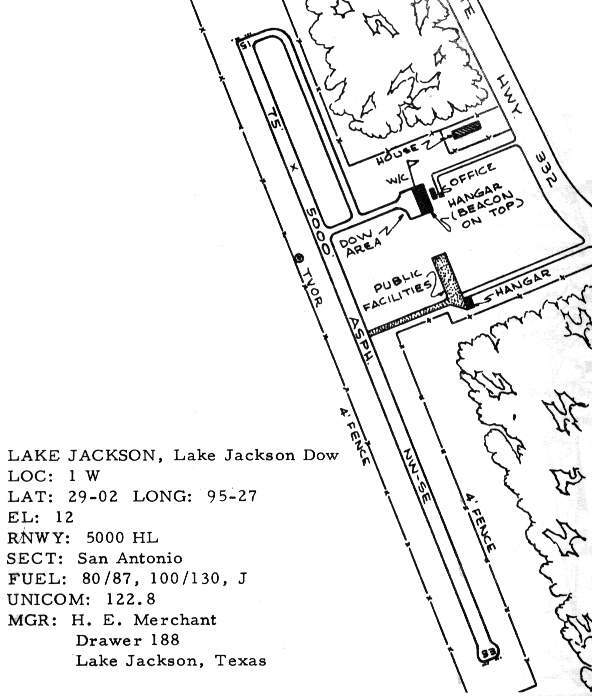 The site of Lake Jackson Airport is located southeast of the intersection of Oyster Creek Drive & Lake Road. Thanks to Bret Kepner for pointing out this airfield.